Well, okay, five wags! 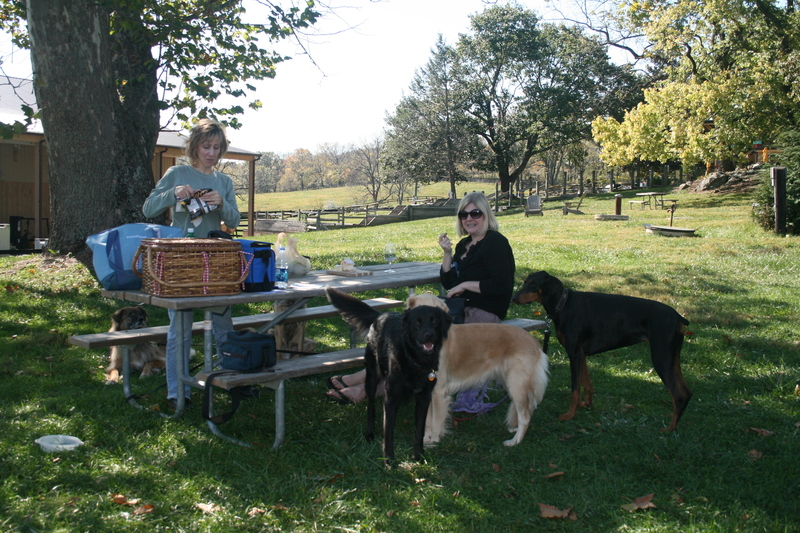 Two friends and I packed up our five big dogs and a picnic lunch for the hour long drive out to Chrysalis Vineyards in Middleburg, Va., Sunday afternoon. With the temperature in the mid-70’s, bright sunny skies and the trees starting to turn bright gold and orange, we couldn’t have asked for a better day trip to Virginia’s beautiful countryside. But Chrysalis proved very dog-friendly. The hostess inside the main building was thrilled that we’d brought our pups, and came out to visit once we’d gotten settled. There are lots of picnic tables scattered around the property overlooking the picturesque vineyards and a pond. 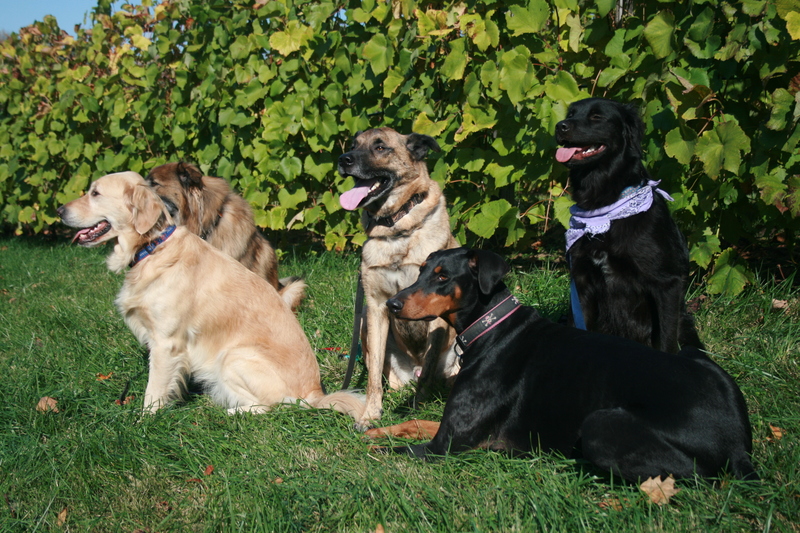 We opted to tie the dogs to our table while we tasted wines at a close-by tent — the tables are sturdy, with metal frames and ample space in between them — but you can also bring your dog to the tent with you. 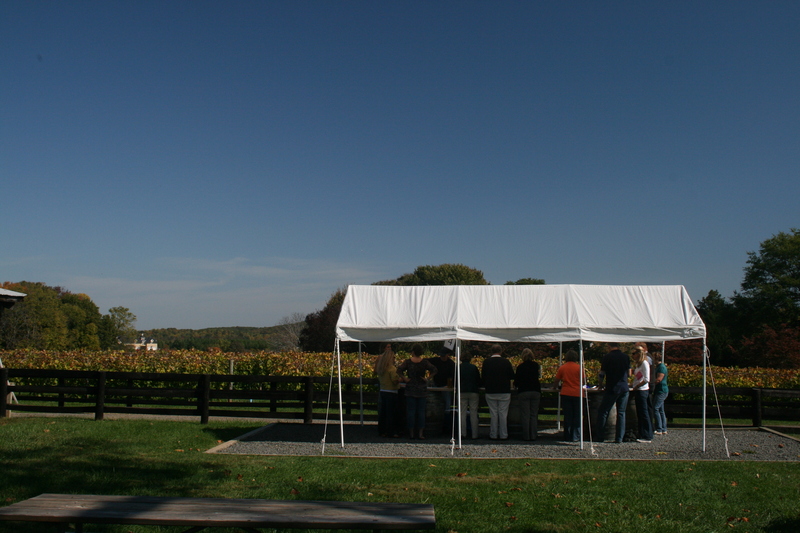 Chrysalis is more structured than many wineries, tastings are held at 12-minute intervals, and you are sent to one of four numbered tents so everyone in your group begins the tasting at the same time. That’s actually better than random starts where if most of the group is further along, you can feel pressure to drink quickly and catch up. There are two tasting options, the $5 “estate tasting” includes three whites and three reds, and the $10 “reserve tasting” adds five more reds to the initial six. This isn’t a wine blog, and I am far from an aficionado, so I’ll just say my favorites were the 2009 Chardonnay and the 2005 Norton Estate Bottled.